If you are starting to feel that you are not coping as well with the stress and depression it might be time to seek some outside help. Everyone is different and how they feel is going to be different! If you don’t feel well with your mental health it’s important that you seek medical help! 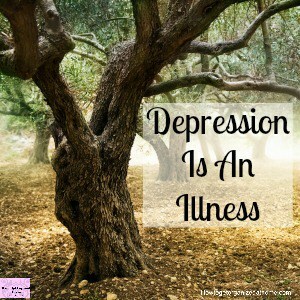 I’m not a medical expert, I’m a sufferer of depression, I know how it feels to feel depressed, I know how it feels to be so stressed with the holiday season that you just want to hide! But, what I can tell you is the importance of your own mental health, depression is a killer, don’t let it take you or family members away unnecessarily! Talking your feelings through with someone, this is a person who you will need to trust your innermost thoughts, it’s important that you can speak openly to them! Speaking to a medical professional who is going to understand the thoughts and feelings that are going through your head right now is the start of your journey to recovery! Post-holiday stress and depression can start with feeling a bit low, but it continues and doesn’t go away. 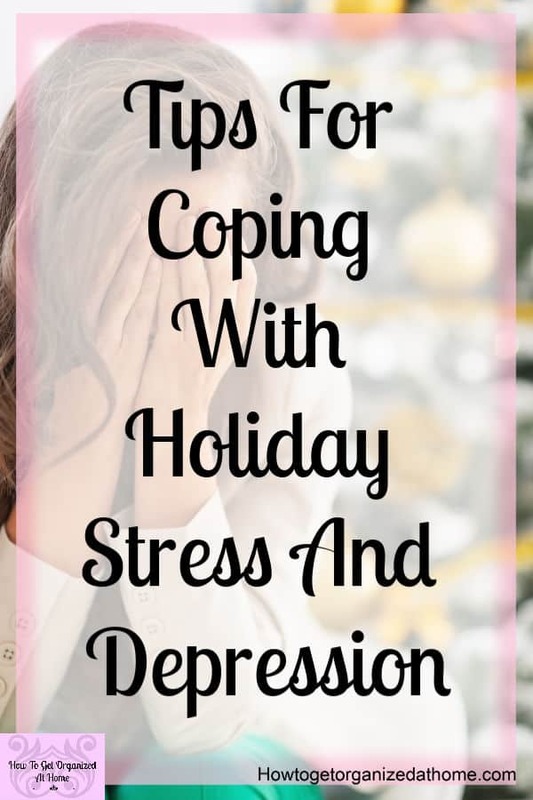 Many people feel low after the holiday season, this is because of the reduction in social interaction with family and friends, but stress and depression will last longer than just a few days. You will feel sad, but more than just a bit, you might not even know why you are feeling this way! Often, depression starts without us knowing and it takes time to actually reach a point where you feel unable to go on! It’s about noticing the changes in yourself or those close to you! Knowing stress and depression symptoms is important, often the person suffering won’t notice them! If you know the signs that you need to look out for when you are feeling low and irritable, or if a close friend or relative suddenly changes and you get worried about them. If you or a friend or family member are suffering from these symptoms, it is important for them to seek medical help. There are other medical conditions that can affect your mood, how you feel. Just because you are feeling low, doesn’t mean that you are depressed! There are medical conditions like having an underactive thyroid that can make you feel low and depressed. 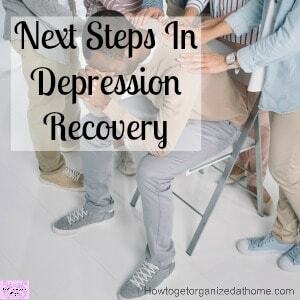 By getting the condition under control can help to resolve the depression too! This is why it’s so important to get checked out by a medical professional as they can test for other conditions and can rule them out! It is important to get the help that you need to make you feel better. Seeking help means that you can identify that the thoughts and feelings are not you and you might need medication to help rectify how you feel. By turning to the medical profession, you are looking at getting the right treatment for you! Unfortunately, there is a lot of stigma surrounding mental illness and it is important that you don’t feel subjected to any form of discrimination if you seek help. The treatment offered will depend upon your individual circumstance and the doctor and facilities, which are open to them, rest assured you, don’t have to deal with them on your own. For me, I take medication, it helps to balance the chemicals in my brain to make me feel better! I take medication for other illness, so I don’t see a problem with taking medication for my depression. I know there are a lot of people who refuse medication, if it’s going to help them feel better, that is something they need to consider! Counseling was the most effective treatment, I was able to talk about how I felt and given ways to deal with those feelings. Often as a society, we allow the hiding of feelings, I learned that my feelings are important and that once I learn to express them that instead of bottling them up I am able to let them go. With the reduction in the daylight hours in the winter plays an important part in the increase in the cases of stress and depression diagnosed after the holiday season. Many people believe in sunlight and the effect that it can have on our bodies with regard to a person’s mood, called SAD, Seasonal Affective Disorder. It can affect a large percentage of the population and is a potential factor in a person’s medical diagnosis. If you feel that your depression is seasonal there are lights that you can get that help you to feel better! If you are feeling the post-holiday blues and they are getting worse instead of better, it might be time to talk to someone about how you are feeling to make sure that you are not heading towards an illness rather than just feeling under the weather! There is so much information out there for people with depression, it’s sometimes difficult to know where to look! I wrote an article on Depression Recovery Tips that I think you will like! One tool that I like that my counselor used was Cognitive Behavioral System, I liked it that much that I recommend this technique to anyone with depression! Another tool that helps people with depression is a weighted blanket! You can get one here! If you have felt stressed or depressed and it just won’t go away seek medical help immediately! Talking about how you feel is important, your feelings count and matter! Taking the first step to getting help is the hardest, but the journey ahead will be tough, it won’t go away over-night! Seasonal depression is something that occurs, and you can get help for this too! 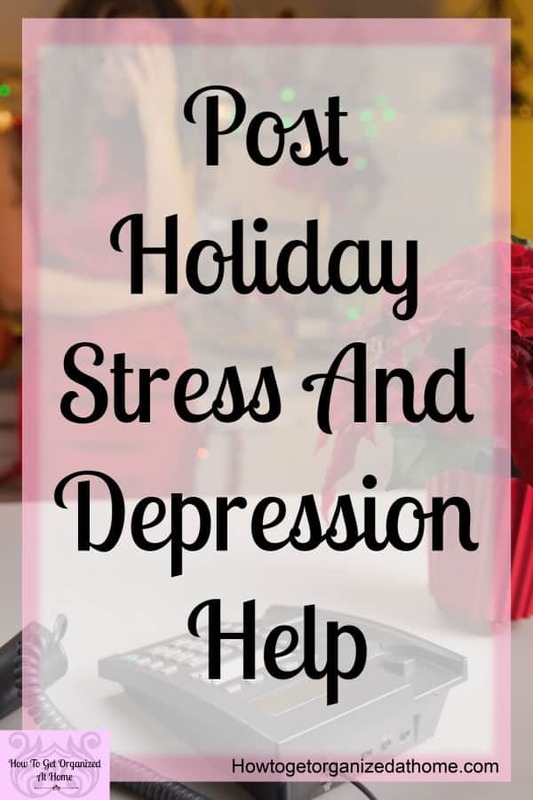 Don’t let the post-holiday blues get you down if they don’t go away get help, it’s that simple! I want to let you know how much this post means to me. I was diagnosed with Major Depressive Disorder three months ago and I can say that I hit the lowest point in my life. A place I wouldn’t wish on my enemies, After seeking help I am in a better and happier place in my life than I have been in three years. I feel energy that I never had and hope for the first time in ages. Thank you for encouraging people to seek out help. No one should settle to feeling depressed. There is hope. I hope this reaches others hearts like it did mine. This is such a huge problem in our area where the winters are long & cold. There also is much to be said about us women taking on too much (adding to stress) and finding a lack of purpose in our day to day routines when they are monotonous. I have also read that they are studying the effects of social media & comparison on our overall contentment. Interesting? There are SO many varied factors that really a professional, as you recommended, should be seen if it is not lifting after a week or two. Especially if others are pointing it out to you. Thanks for visiting Sarah, I agree the more we talk about mental illness the easier it becomes for people to seek the help they need. 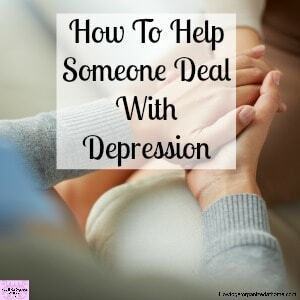 Great post, I struggle with depression and there is so much misinformation about it and a stigma attached so I appreciate reading posts about it. Thanks for linking up with Motivational Monday.